With the 15th annual International Chamber of Commerce’s (ICC) Miami Conference quickly approaching, we are spotlighting some of the programme’s top-line issues slated for discussion. 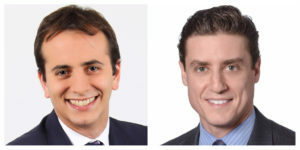 Here to outline their stance on the matter of compliance in arbitration are Linklaters Head of Latin American Arbitration Christian Albanesi and United States Head of Litigation and Government Investigations Adam Lurie. Corruption presents significant risks for investors conducting business in nearly every corner of the world. The anti-corruption organisation, Transparency International, recently found that over two-thirds of the 176 countries and territories surveyed scored below 50 on a scale from 0 (highly corrupt) to 100 (very clean). According to the report, “[n]o country gets close to a perfect score.” The global average comes in at 43, indicating “endemic corruption.” Furthermore, corruption costs more than US$2.6 trillion—5% annual global GDP—with over US$1 trillion in bribes annually. This prevalence, particularly in developing markets, makes it difficult for companies to avoid corruption and to protect investments without a robust compliance programme. Against this landscape, invoking corruption as a defense in arbitration has become an increasingly common tactic for parties seeking to avoid liability. The severe consequences of a potential corruption charge or finding, underscore the need for companies to have effective anti-bribery and corruption compliance programmes that are tailored to address the risks specific to the investment activity and jurisdiction in which the company operates. In addition to steep civil fines and criminal penalties, such as those imposed under the United States Foreign Corrupt Practices Act (FCPA) and the United Kingdom Bribery Act (UKBA), companies may risk losing claims worth hundreds of millions of dollars. Accordingly, there are many complex and thorny issues that can arise in arbitration after corruption is alleged. In the context of investor-state arbitration, two decisions from the International Centre for Settlement of Investment Disputes (ICSID) tribunals highlight corruption as a defense in arbitration. First, in World Duty Free Co. Ltd. v. Republic of Kenya, the tribunal dismissed a claim for US$500 million on the basis of a US$2 million bribe paid by the claimant to the President of Kenya. The tribunal dismissed the claim, holding that contracts obtained by corruption could not be upheld— partially because bribery is contrary to “transnational public policy.” Subsequently, in Metal-Tech Ltd. v. Republic of Uzbekistan, the tribunal observed a number of red flags indicating corruption and, of its own accord, ordered discovery regarding millions of dollars in consulting payments. The tribunal dismissed the claim of US$174 million for lack of jurisdiction, concluding that the payments were in fact bribes. Following the World Duty Free case, the ruling in Metal-Tech was only the second time an ICSID tribunal had dismissed a claim for bribery and was the first time in the context of a treaty claim. Corruption allegations can significantly impact arbitration and raise a number of legal and strategic concerns. The first issue is how to prove corruption. The standard of proof applied by tribunals is, in most cases, very high, requiring the party alleging corruption to provide proof beyond doubt. In exceptional circumstances, however, the tribunal may invite the accused party to prove the lawful nature of its conduct. Second, if the alleging party succeeds in raising a suspicion of corruption, the tribunal may have the power to order the production of further evidence, as demonstrated in Metal-Tech. If neither party invokes corruption as a defense, one may question whether the tribunal can raise the concern of corruption ex oficio. The answer is “yes.” Despite the natural tension between the risk of rendering an award ultra petita—beyond that which has been sought—and the obligation to render an award enforceable at law, considerations of international public policy should take precedence over other principles. Therefore, if an arbitral tribunal suspects the existence of corrupt practices in the underlying transaction, it should make the necessary enquiries, while ensuring that the parties are given an opportunity to respond. Third, an outstanding issue is whether a tribunal has a duty to report illegal behaviour if there is a positive finding of corruption. For example, Article 40 of the Brazilian Code of Criminal Procedure requires tribunals and judges to denounce illegal acts to the Public Ministry. The question remains how this obligation may be fulfilled in light of the arbitrators’ duty of confidentiality, inherent to the nature of arbitration. Finally, allegations of corruption can force parties to incur significant additional time and expense in the proceedings. Thus, they should not be raised lightly and tribunals should sanction parties alleging corruption as a mere dilatory tactic. regular audits of third parties, along with annual contract renewals, among other elements. By adopting these anti-corruption measures as part of an overall compliance approach to arbitration, companies not only bolster their compliance with laws—such as the FCPA and UKBA—but may also better protect investments by avoiding the costly consequences of a potential corruption finding during arbitration. The 15th ICC Miami Conference on International Arbitration takes place from 5-7 November 2017. To learn more about this key arbitration event or to register, please visit our dedicated event page.